When it comes to Donald Trump, it seems that the only kids that really get any recognition are his three oldest. They are the ones who appear on his television show and the ones who are most prominent on the campaign trail. But the business mogul and Republican presidential nominee has five kids, and they all have their own stories to tell. 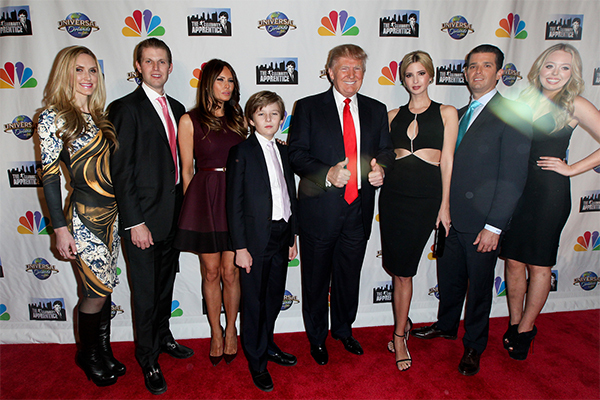 Donald Trump, Jr., Eric Trump and Ivanka Trump are the three oldest children, all of whom Donald Trump had with his first wife, Ivana Trump. Donald Jr. is 38, Ivanka is 34 and Eric is 32. Tiffany Trump is the only child that Donald had with his second wife, Marla Maples, and she is 22. His youngest son, Barron Trump, is 10 and the only child he has with his current wife Melania Knauss.